I found two versions I really like—one for her and one for him. 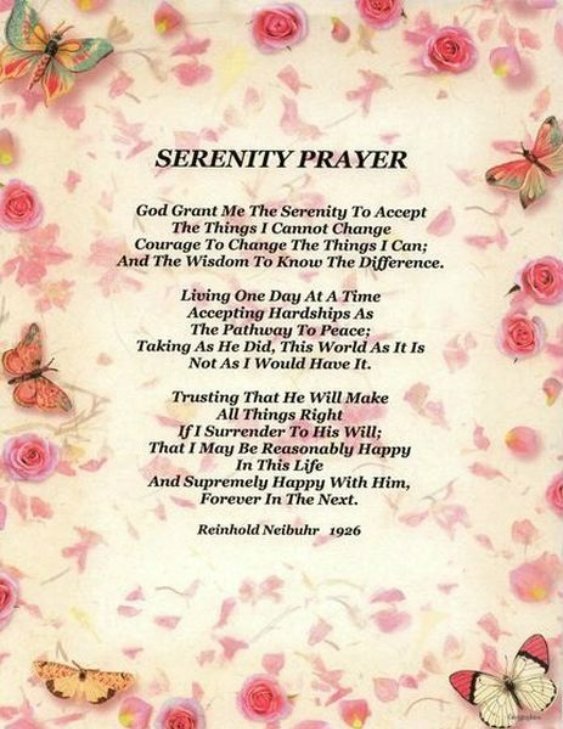 This entry was posted in Thoughts and tagged Accept, Courage, Forever, Happy, Reinhold Neibuhr, Serenity Prayer, Surrender, Thursday Thoughts, Trusting, Wisdom by Barbara Wilson. Bookmark the permalink.